Nilkamal brings with the very durable and light weight Urmi Ceramic Quarter Round Plate in white colour. The colour of the product that is white is very easy going and the most liked colour in plates. The material used in making of the plate is Ceramic, on which you can rely that it has the features of serving you and your family. 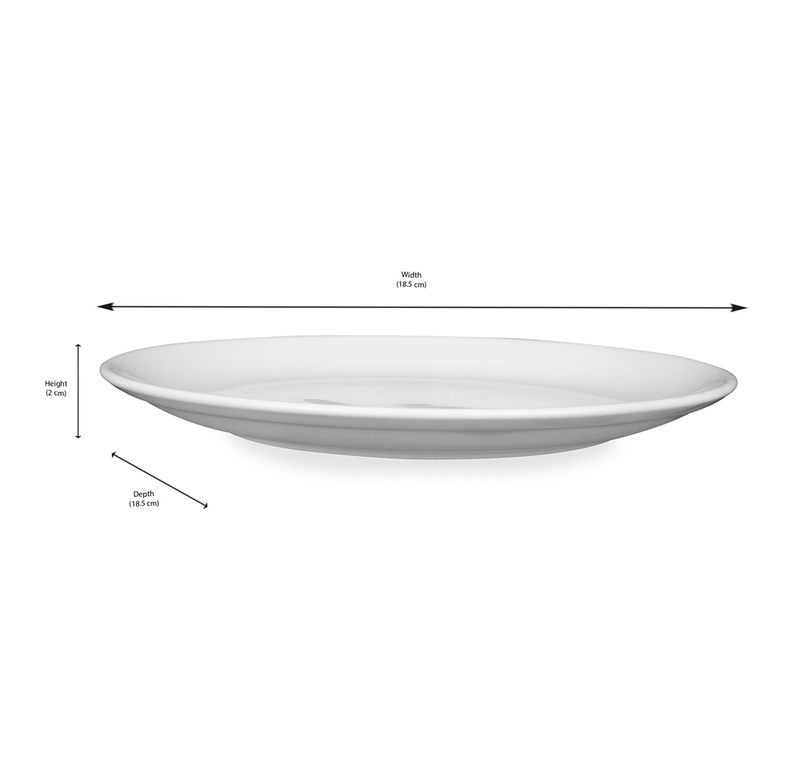 The width, depth and height of the quarter Round Plate is 185mm, 185mm and 20mm, this allows you to have larger area to keep your food and eatables in the plate. You can shop for the complete set of 6 plates and can add a beauty and style to your dining table to serve hot and fresh food to your family and guests. The piece is very budget friendly, you can also buy a set to gift to your near and dear ones; and they will surely love it. Handling and care of the product is very easy as it is very light weight and you can wash it with water and use it again to serve food. So, what are you waiting for? Go grab your plate form @home.